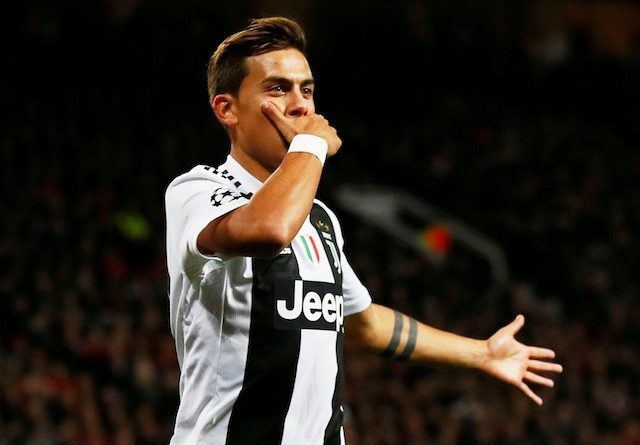 Merseyside club keen on signing Juventus footballer Paulo Dybala and preparing to make a bid during the summer transfer window. Reds have problems in the front-line as Adam Lallana is in terrible form, James Milner already 33-year-old, Alex Oxlade-Chamberlain has a severe injury, and their back-up is necessary. Argentina international is the perfect option in this situation as he has an impressive campaign and proves his worth one more time. Chelsea, Real Madrid, Atletic Madrid, Man United and Bayern Munich also interested in signing him and there will be a real contest for the player. In this season, the 25-year-old footballer already played 35 matches, scored nine goals and made six assists in all competition. It is an excellent result, and he can do much more if he gets a regular place in starting line-up. Paulo joined the Bianconeri from Palermo in 2015 with a €40m deal. He became a key figure for the club and scored many vital goals since joining. Dybala has contracted with the Old Lady until 2022, and his release clause is nearly €100m. He regularly plays in the national team and also helped them to reach the playoff in the 2018 Mundial which is already a big success for the footballer. Merseyside club have a fantastic result in the Premier League as they are leading the table and have a big chance to win the competition. Reds also reached the Champions League quarter-final, and they have to face Porto in April. Liverpool heavily linked with Napoli attacker Lorenzo Insigne, Polish midfielder Piotr Zielinski, Serbian striker Luka Jovic, Ajax left-back Nicolas Tagliafico and Real Madrid footballer Isco.